Dr. James Brady has practiced radiology for over 30 years. After completing his diagnostic radiology residency at Mount Sinai Medical Center in New York, he joined a hospital-based group where he concentrated on interventional radiology procedures. After 10 years at the hospital, he moved to Manhattan where he established his own practice on the upper east side. He has been associated with East River Medical Imaging since 2013. Dr. James Brady is Board Certified in Diagnostic Radiology and holds a staff appointment at Weil-Cornell Medical Center. 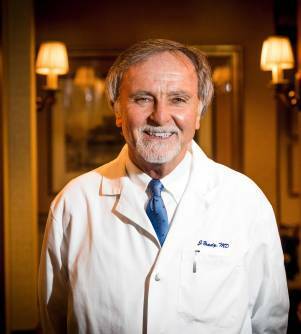 For the last 10 years he has devoted the majority of his time to Fine Needle Aspiration Biopsies and Fertility procedures (Hysterosalpingograms and Fallopian Tube Recanalizations). He has performed more than 15,000 hysterosalpingograms and 20,000 biopsies over the last 25 years. His interest is not only in the quality of procedures he performs but also the quality of the patient experience, with emphasis on minimizing patient discomfort and anxiety. He serves as an Assistant Attending Radiologist at New York-Presbyterian Hospital and Clinical Instructor in Radiology at Weill Cornell Medical College, Cornell University.